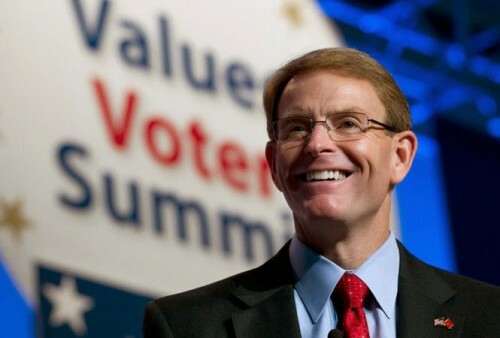 And as first reported by The New Civil Rights Movement’s David Badash, the man who introduced the idea is none other than Tony Perkins, the leader of a group certified to be extremist and antigay, according to the Southern Poverty Law Center. Language: "We support the right of parents to determine the proper treatment or therapy, for their minor children." While Perkins may call the treatment “proper,” the American Medical Association and many other professional psychology and medical groups around the world condemn the practice, which aims to change the sexual orientation or gender identity of someone against their will, most notably, children. In some places it is described as an effort to “pray the gay away.” Several states have outlawed the practice and those laws have been upheld by the U.S. Supreme Court. While he gloats, however, the head of the Family Research Council is not truly victorious as of yet. The plank he introduced must still be voted on by a committee, and then all voting members of the Republican National Committee, before becoming an official part of the 2016 platform.